← Unboxing & Giveaway: Japan Candy Box! 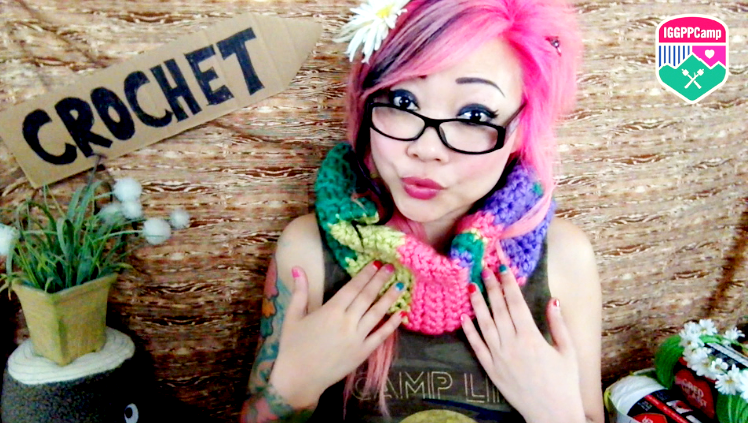 I’ll be your crochet instructor at IGGPP Summer Camp!! 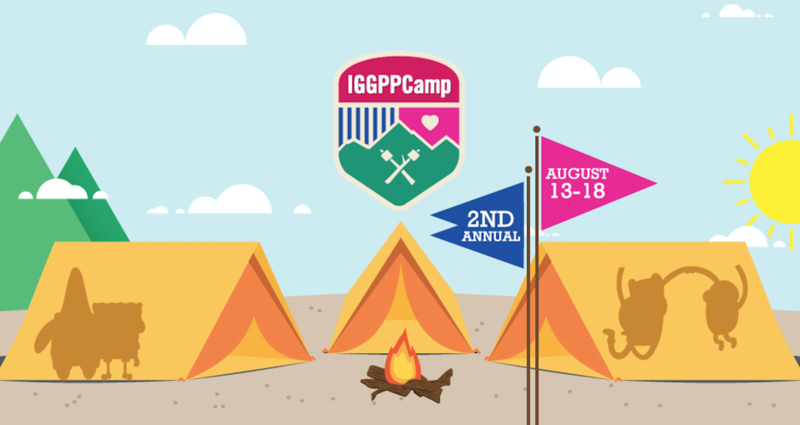 My buddy Stewie is a co-founder of International Geek Girls Pen Pal Club, and starting tomorrow, August 13, until Tuesday, August 18, IGGPP will be running its 2nd annual online summer camp! 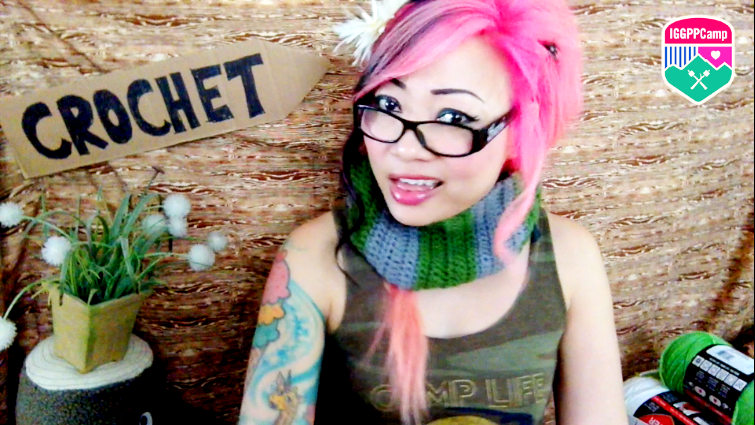 She asked if I would film a how-to-crochet video for camp, and I said sure! But guess what: I have never actually attempted to teach a beginner’s crochet class before, like the actual basics of crochet. So, I have no idea if I’ll do a good job or not, especially while trying to keep the video from being 3 hours long! My video goes live on Saturday, and I’ll be taking over the IGGPPCamp Twitter on Sunday (time TBA) to field some crochet questions from campers! The beginner project we’ll be making is a cozy camp cowl! It is unfortunately too late now to register for a troop, but everyone can still join in on the activities! Here’s the FAQ page which directs you where to go! Don’t miss out on the fun!! I have a fun sorta-summer-camp themed project I have planned for my own YouTube channel….. I am a mere few days from being done with my book, and then it’s video-tutorial city! One Response to I’ll be your crochet instructor at IGGPP Summer Camp!! What is that variegated yarn you used for the crochet cowl for the camp thingy?? It is really pretty.